While most post about what they received this Christmas, from the most expensive bags or gadgets to as simple as a greeting card (and there is absolutely nothing wrong with that, let's always be grateful for what we receive), I have been posting socially that this year's a very different Christmas for me and the family. First of all, mid this year, we lost the most important woman in our family, my mommy. Her absence is deeply felt and still fresh to us. Secondly, because of her passing, I was moved to be more selfless and continue her passion to help and uplift our community. Admittedly, while she used to tell me stories about the projects she was involved in (which actually was stressing her, that we fought about it a few times because I didn't want to see her tired), I just listened, but didn't want to engage in it. I thought I was too busy with my family, my work, my blog and other things, I don't have time to give more of myself. When she left us, people never stopped visiting her during the wake and there were so much stories told about my mom. They never stopped talking about how good of a person my mom was, how mom taught them skills in flower arrangement, tips in purchasing materials for the church, how mom always protected and defended this old woman from people who belittle her, how mom influenced women to fight for what is right and not mind what doesn't matter, how mom's intentions were always pure, her actions always sincere, fair and just. Mom clearly made an impact in their lives. So in mine, most especially. I am my mom's only daughter. There is so much in me that's her. Because of this, the spark of selflessness was ignited. I realized too many things and learned so many lessons about life and giving back for what you've been blessed with. Even in her absence, mom's guiding me to continue what she started. To be more involved, to be kinder, to be more compassionate, to be more selfless, and to help even in any little way you can. That's exactly what we did this Christmas. 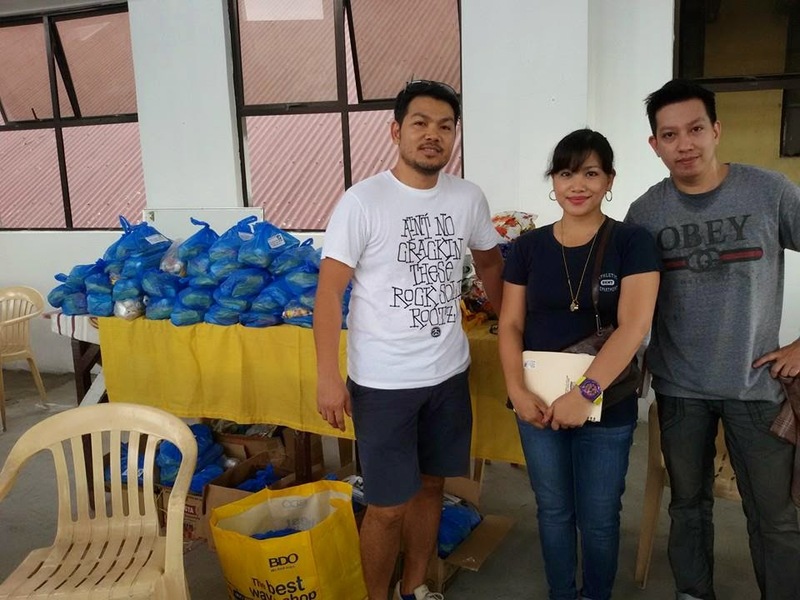 While my blog was doing good this 2014, project after project, I always glorified and thanked God for the blessings and I promised Him in my prayers that I will set aside something to give back. 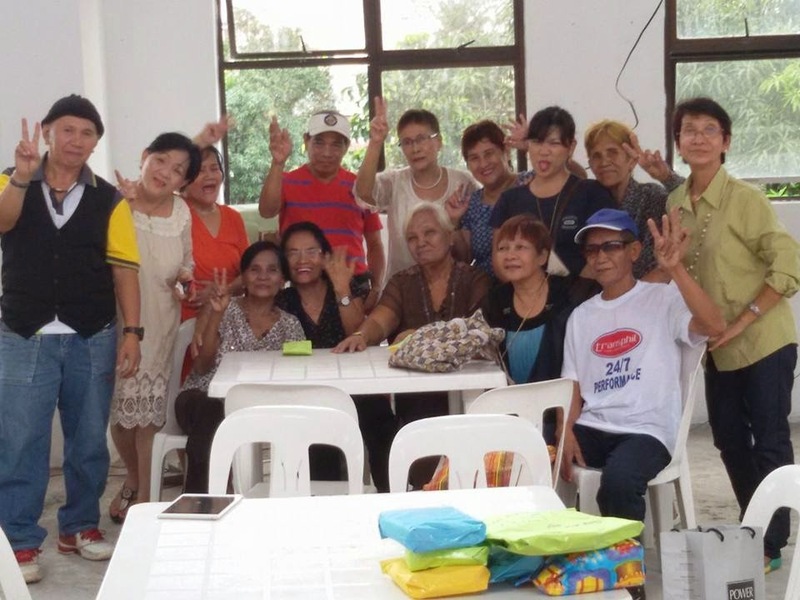 So I planned to do an outreach program for the Senior Citizens of our community, the organization my mom poured her heart into establishing it last year. This plan was realized last December 27. Let me just share a few photos of the event my mom continuously influence me to do, even in her passing. Christmas Package repacking done at home through the help of my family, with Neurogen-E samples and SMART items. Christmas packages' simple content which Mac and I bought for our outreach recipients. Some friends pledged as well to complete all 200 packages. 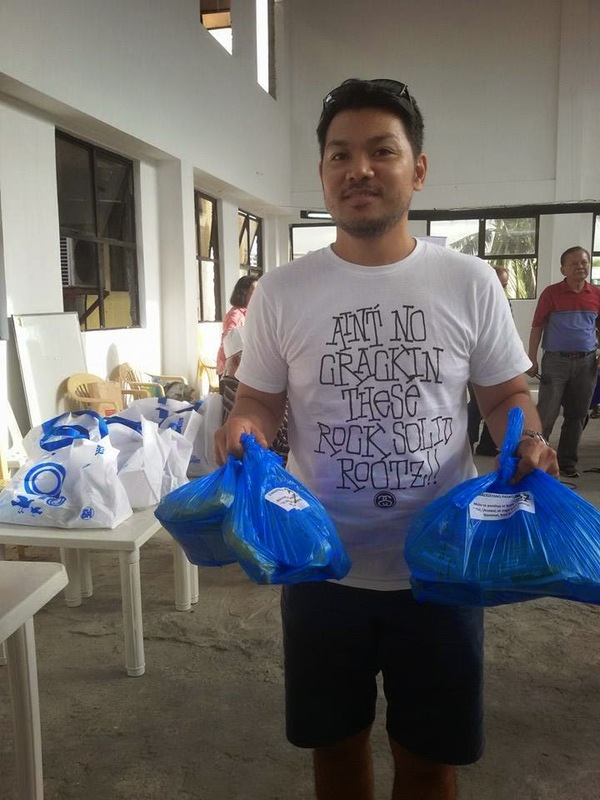 Thanks to Anne Villafuerte, Vandj Arcega, Esther Lopez, Armi Juan and Nikki Roldan for your donations. 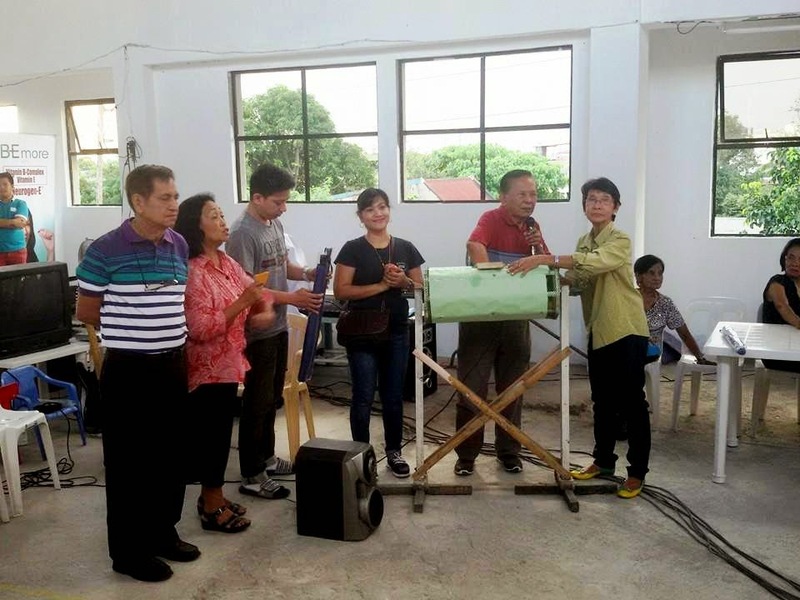 The Christmas packages arrived at the venue through the help of our Barangay Kagawad's help. Booth set up during the Christmas Party Outreach. 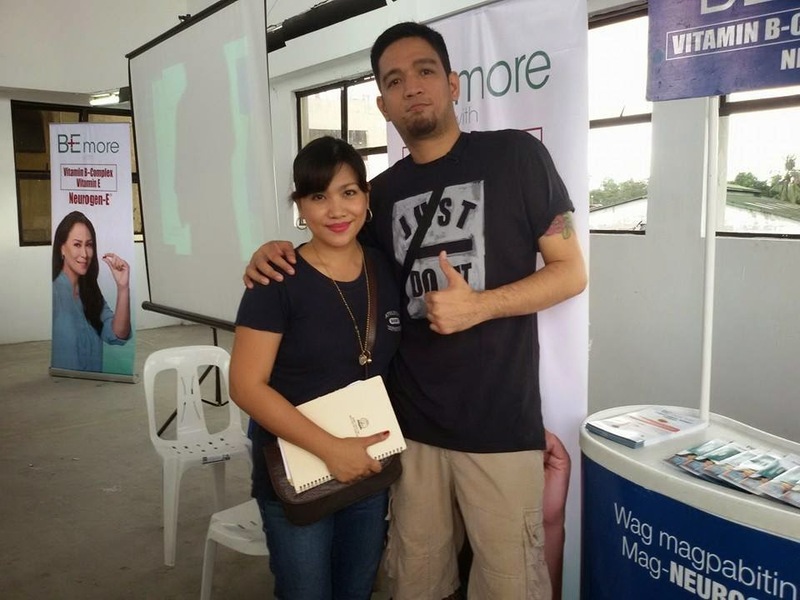 Thank you UNILAB! 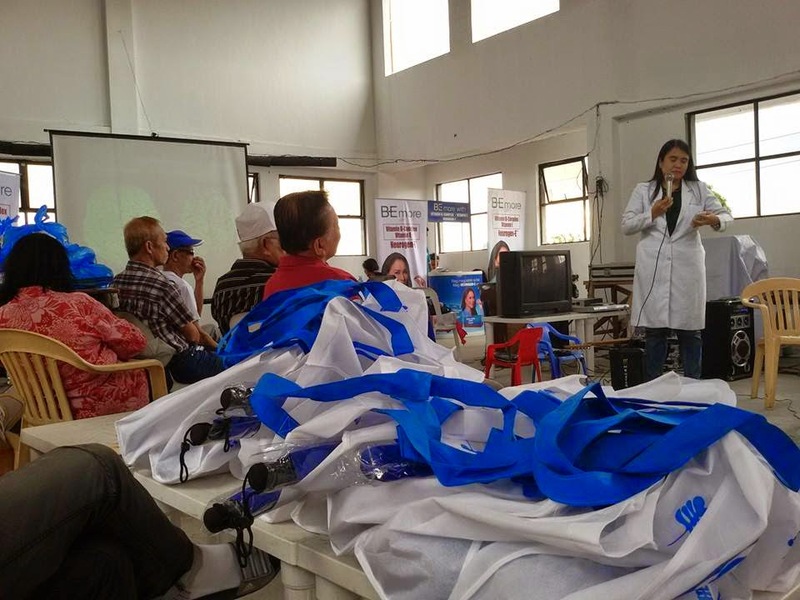 Thank you Dr. Cheridine Oro-Josef, one of the best Geriatrics doctors in the Philippines, for the lecture on neuro-aging and proper care for the elderly. 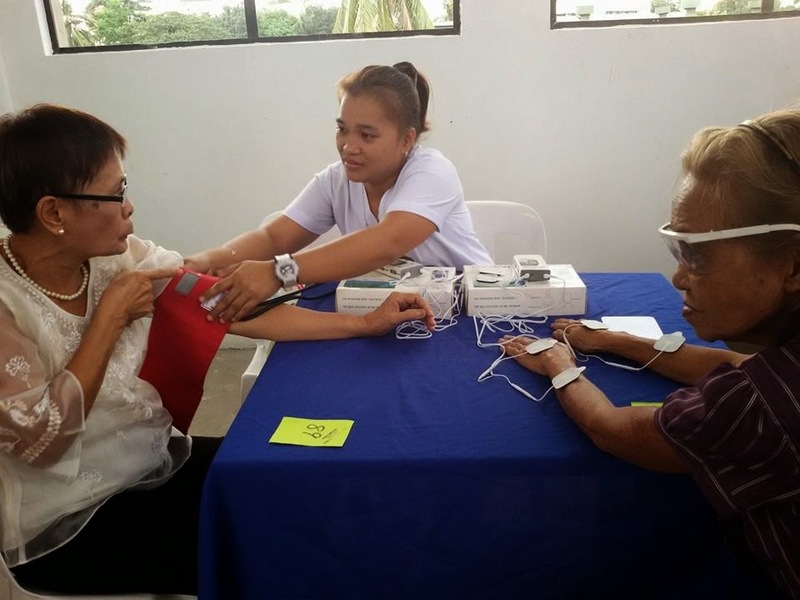 Thank you SMART for providing the giveaways to 500 members and the raffle items for our beloved Senior Citizens. 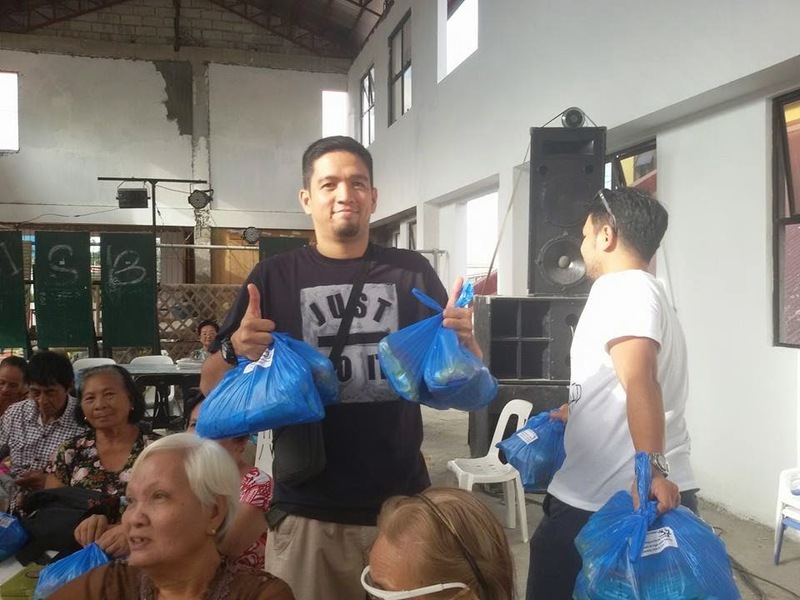 Thank you Kuya Rommel for helping me distribute the Christmas packages. My mahal, I couldn't thank you enough for everything you've done to make this happen! 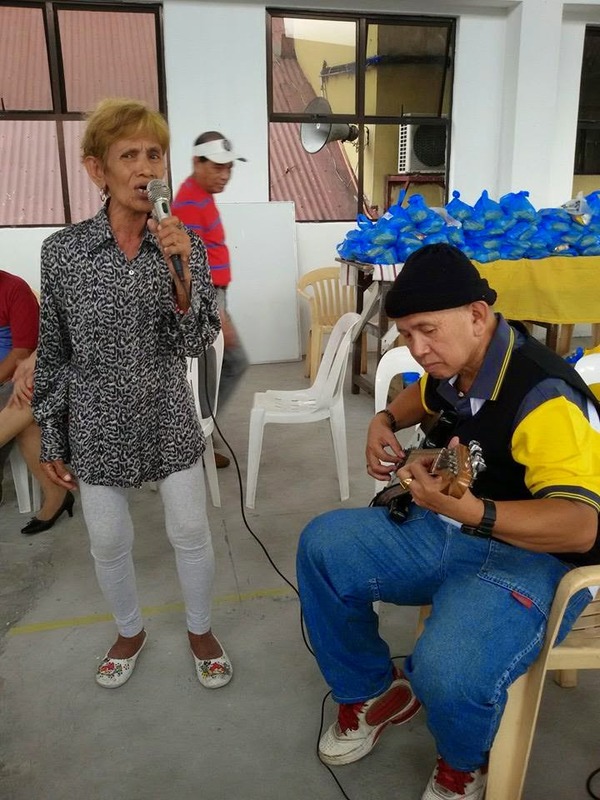 Thank you po for dedicating a song for Mom. You made me cry! 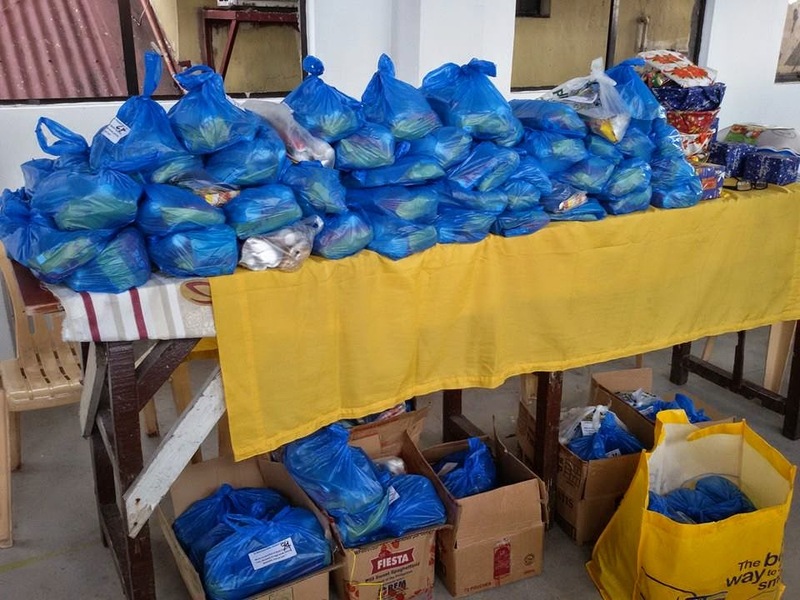 Thank you din po for making our Christmases a fulfilling and more meaningful one. It was a more meaningful Christmas for me and my family indeed. This season is truly a season for giving and caring for others. But if you can do it more often the better. It's good for the health I say, because it gives you internal peace and a generally positive feeling. It's not how big nor how small it is that you give, as long as you do. One doesn't have to be rich, to be able to help, it starts with your desire and intentions to do so. I'm just glad, mom left me with this heart. I'm not saying it's the kindest of all, but at least I have a bit of hers, which I know, I could further develop. Thank you to my my kids, Dandre and Wes, and Macky, for helping me repack the Christmas packages. 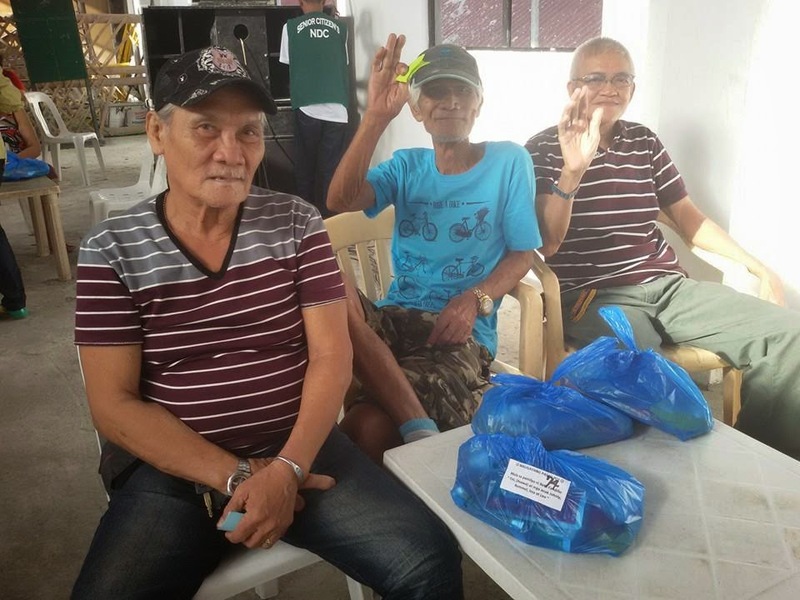 Thank you to my dad and brothers for helping me during the outreach day. 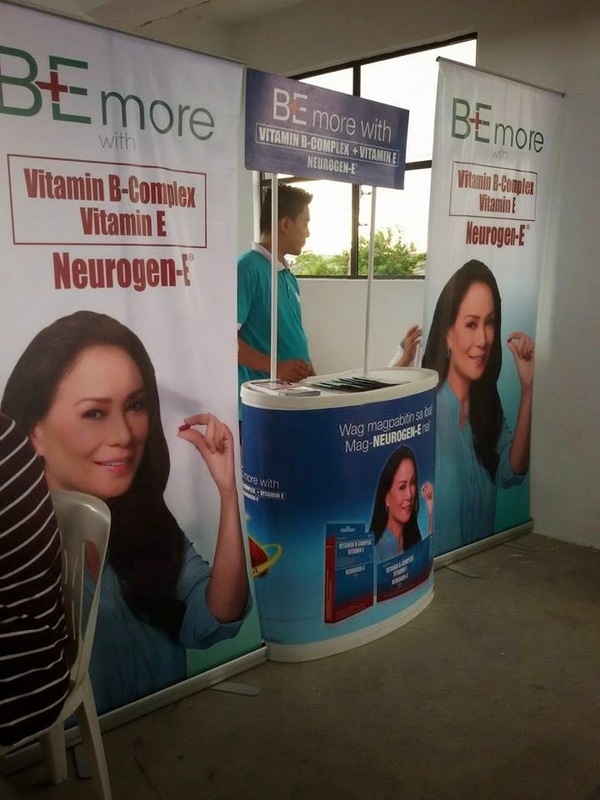 Thank you to UNILAB, through the help of Marcie Linao of Love and Light Productions, for setting up a booth to give samples of Neurogen-E, for the free check-up and therapy and for giving a talk about neuro-aging. 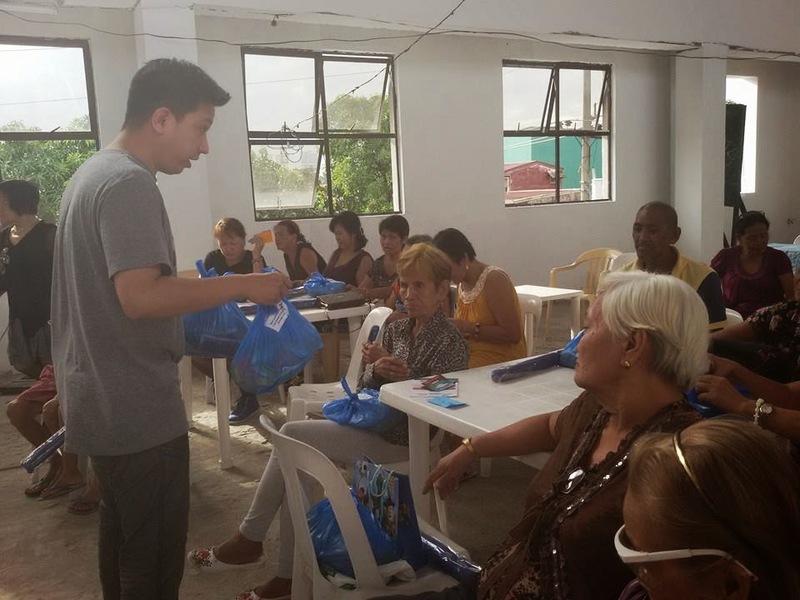 Thank you to SMART for sending in premium items which we included in their packages and as raffle prizes to our beloved Senior Citizens. Thank you God, for all the blessings and for enabling me to do this. Thank you Mommy, for guiding me through this and for leaving me a piece of your charitable and selfless heart. I hope I continuously make you proud up there in heaven. I love you and I miss you everyday. I hope you all had a Merry Christmas and from my family to yours, we truly wish you a prosperous and healthy 2015!